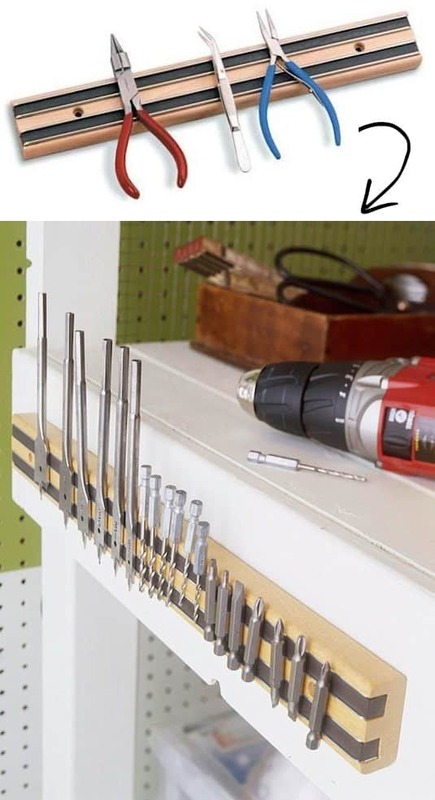 You have probably seen one of these used in a kitchen for knives, but they come in handy for garage tools, too! I could use one of these in the garage for my small gardening tools and scissors. What else could you put on there?! Bottle openers, measuring cups, screws, tweezers, and so much more. Pick one up here on Amazon. I think this is my favorite K-Cup storage solution because it holds 36 pods, and if you put it under your Keurig, it doesn’t take up any extra space! If you need more storage (for an office perhaps), you can buy more than one and stack them on top of each other. Read the reviews and pick one up here on Amazon. 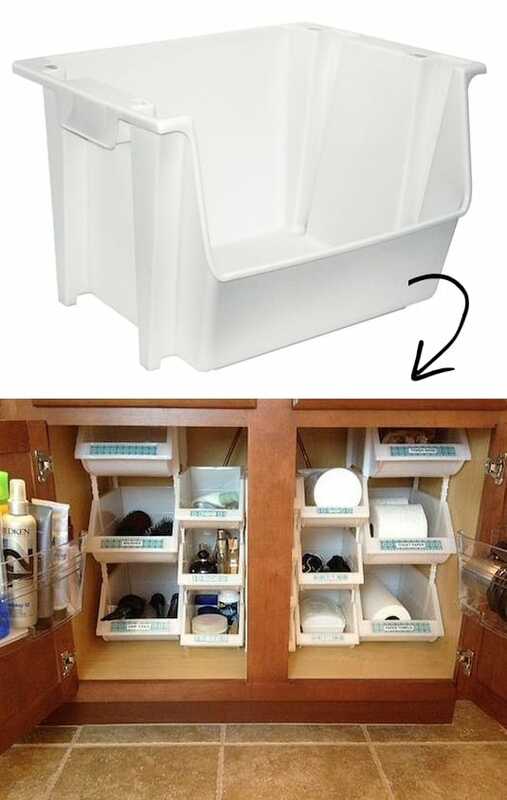 I use these stacking bins in my craft closet for all of my miscellaneous supplies. They work great for small items! I imagine they would also work well under a bathroom sink for soap, cosmetics, lotion bottles, and more. You can buy them here on Amazon, but I’ll bet you could pick up something similar at the Dollar Store!